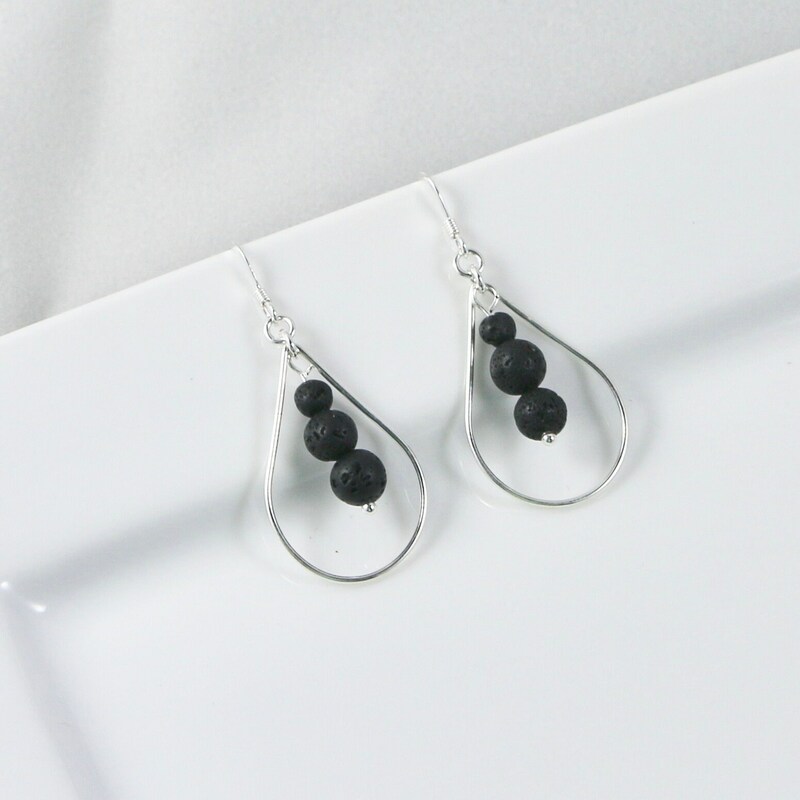 DIFFUSE | Apply your favorite 100% pure therapeutic grade essential oil on lava stone to enjoy the aromatic benefits. 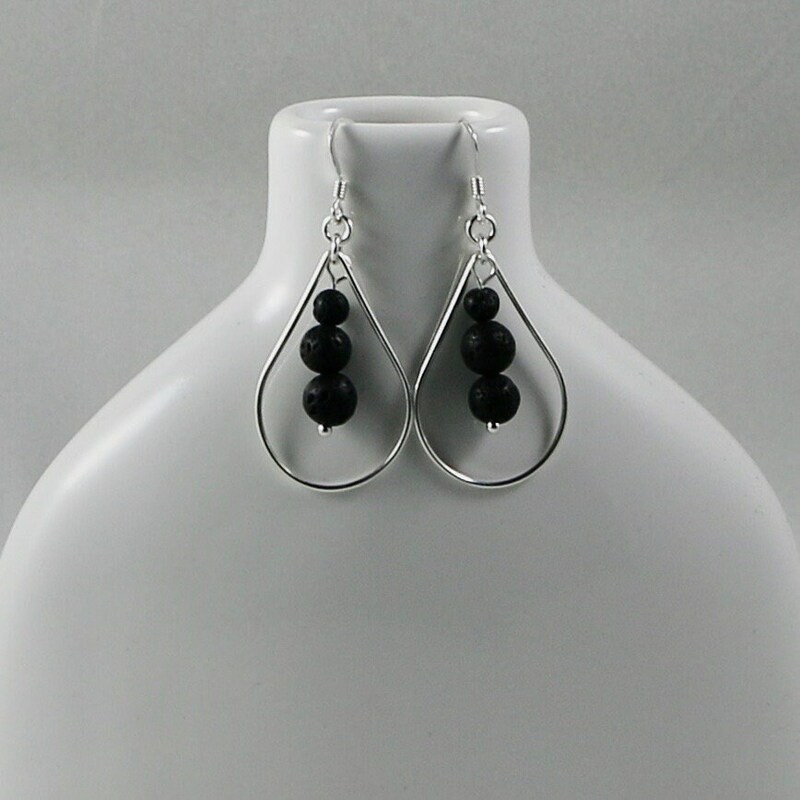 Reapply oil as desired. 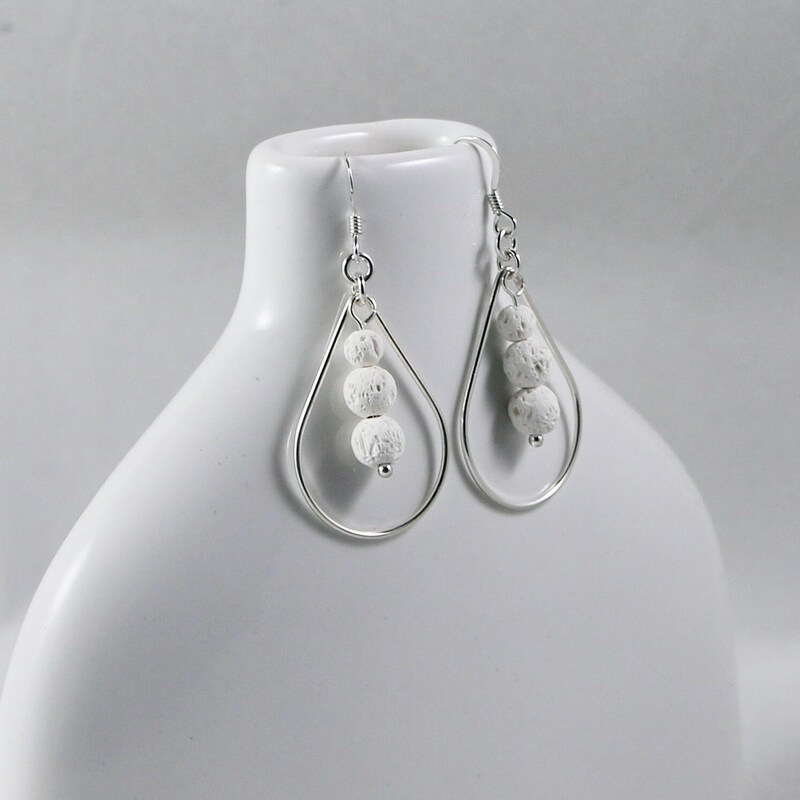 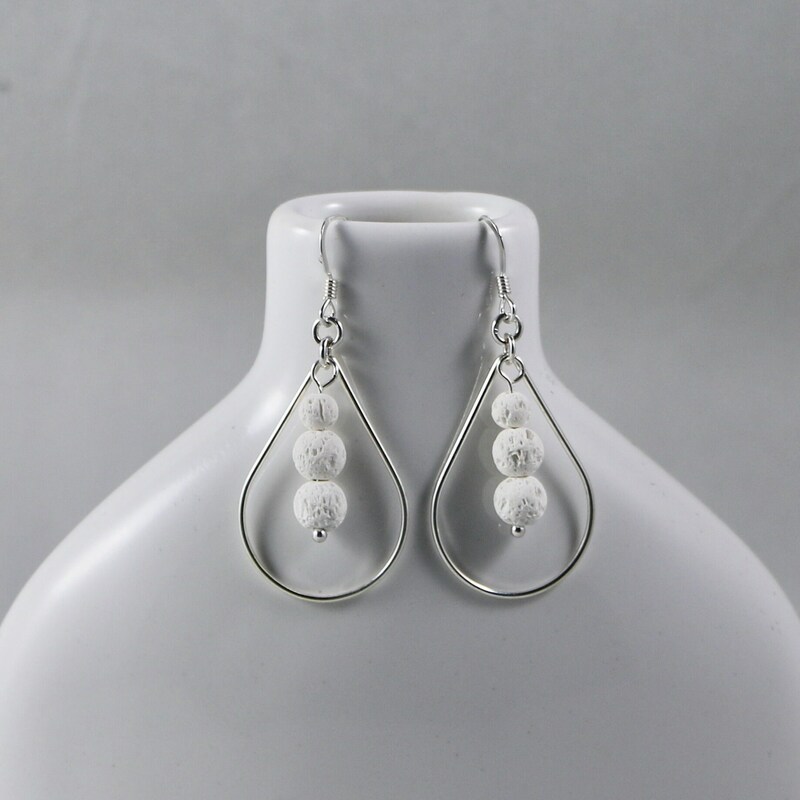 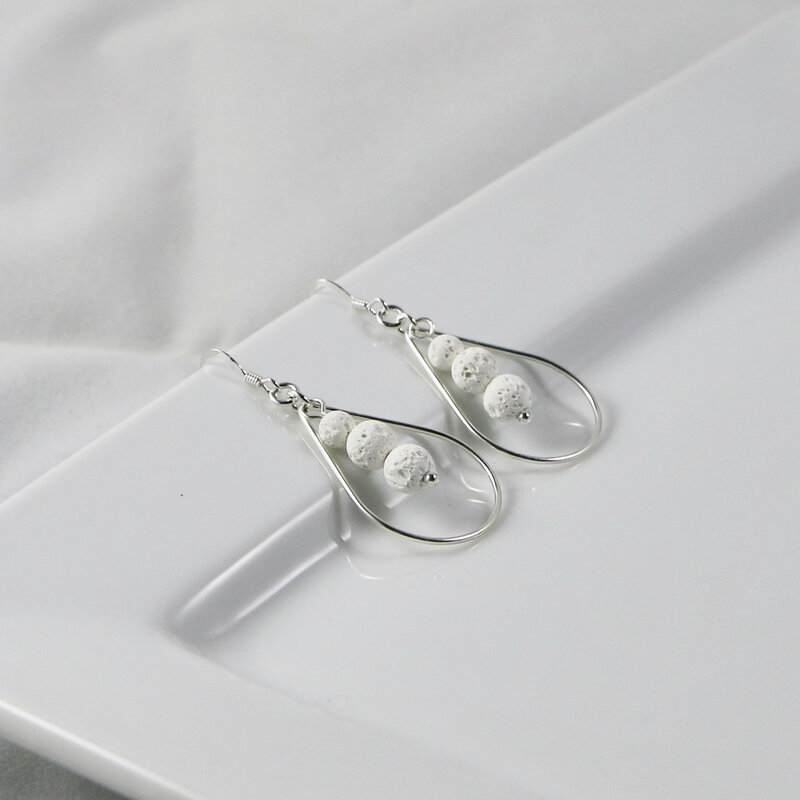 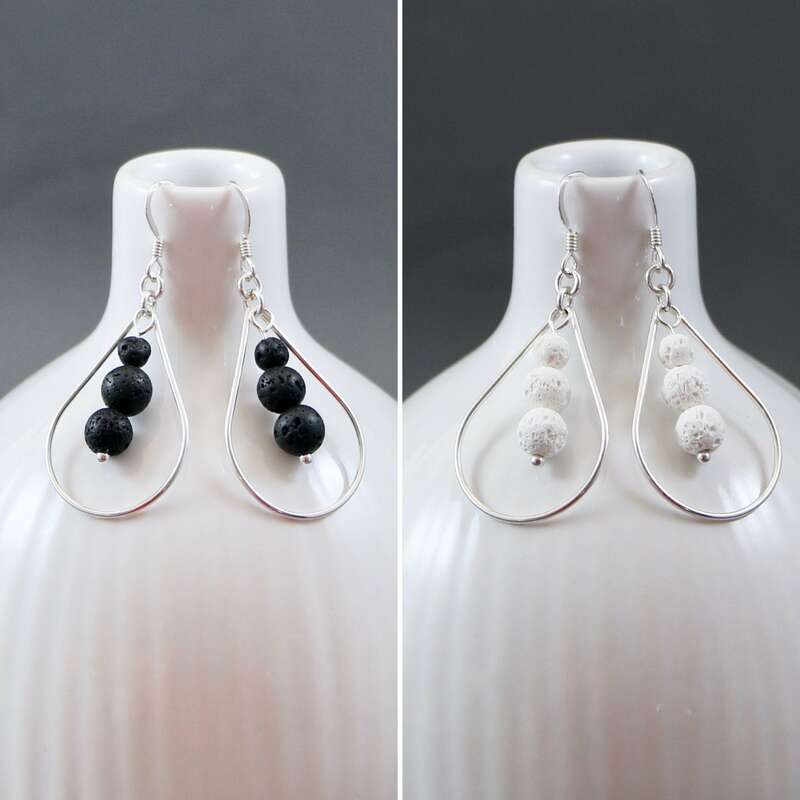 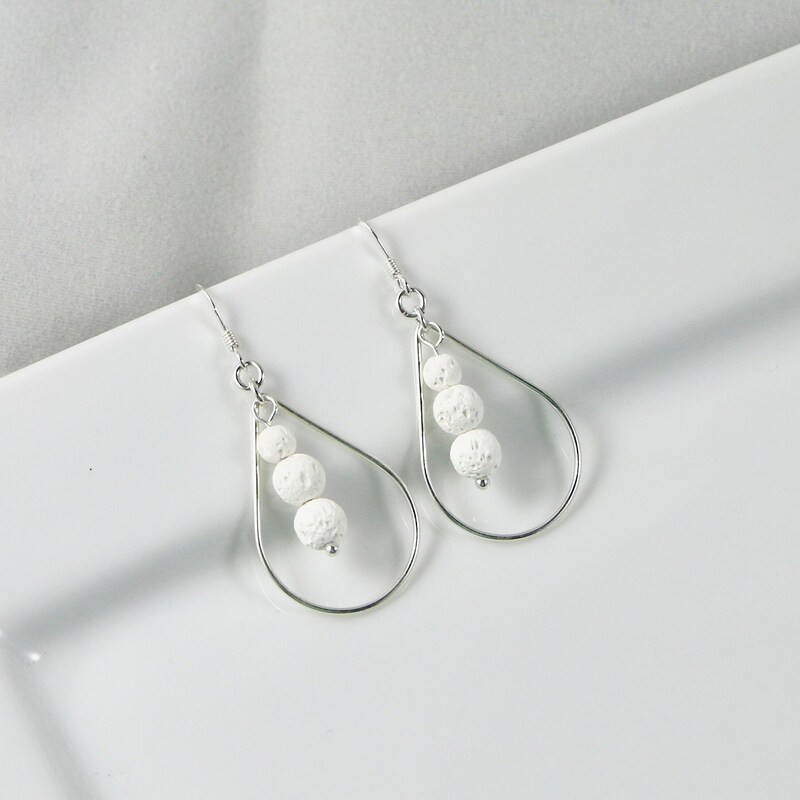 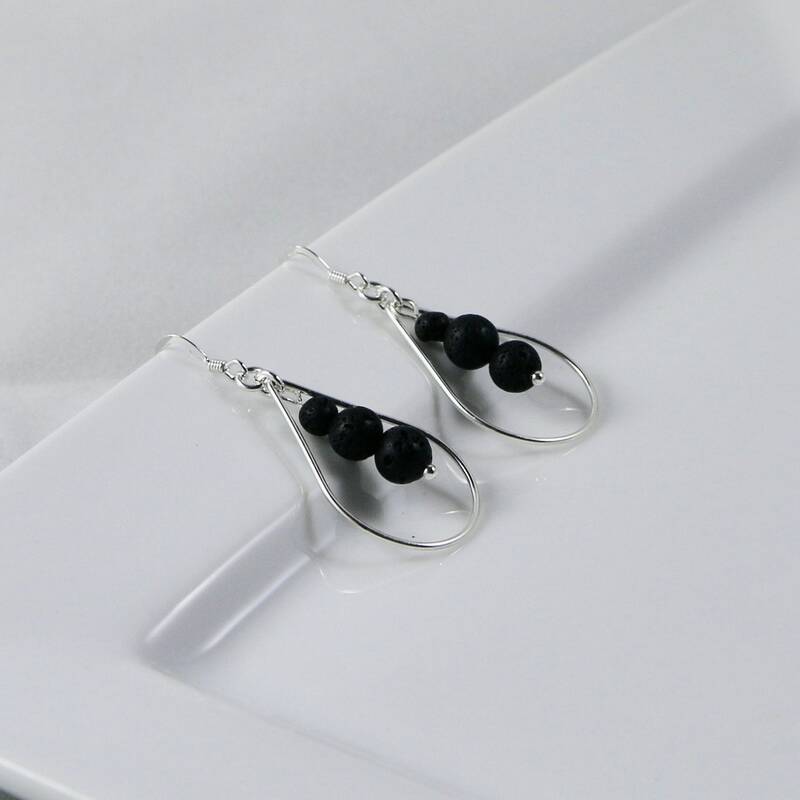 A trilogy of 3 beautiful white or black lava stones suspended in the middle of a sterling silver focal teardrop is simply amazing, especially when you can apply your favorite 100% pure therapeutic grade essential oil to the lava beads and reap the glorious aromatic benefits. 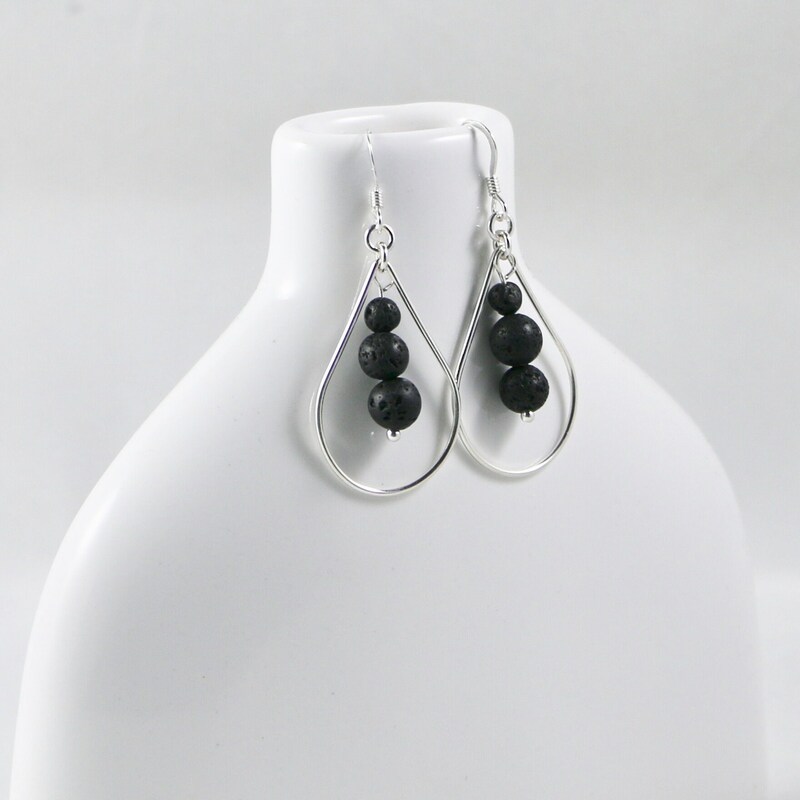 Perfect for a night out or the casual day at home!